The batch release unit is available as option for the weight grading line. It will be installed at plants where clients require the so called batching, meaning to reach a target weight at each drop off station. Once the target weight is reached, the drop off station is blocked automatically till the collecting bin has been emptied and the release button has been operated. 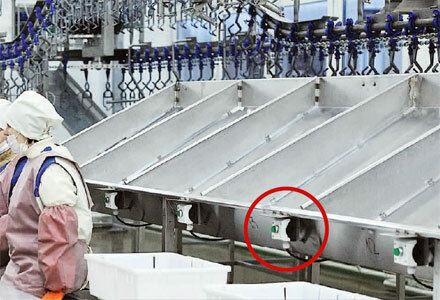 The control of the batching release is made by the computer system of the grading line.